THPBlog: Sierra Pacific Industries to log in nice high elevation stands near Bowman Lake. Sierra Pacific Industries to log in nice high elevation stands near Bowman Lake. 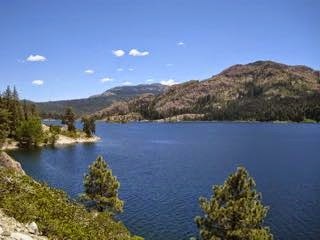 This THP is about 10 miles north of Emigrant Gap and I-80 near Bowman Lake, a popular camping and fishing lake at an elevation of 5,400 to 6,500 feet. Sierra Pacific Industries is planning a mostly group selection tractor based logging operation in high elevation stands of white fir, ponderosa pine, sugar pine, Jeffrey pine, red fir and lodgepole pine. SPI is claiming the presence of root disease, beetles and mistletoe (such conditions are normal for high elevation stands but are often used by timber companies to justify logging). There is a small wet meadow in the THP area, and section 3 is adjacent to the Middle Yuba Roadless Area. SPI wants to construct 2 roads to access a watercourse for water drafting. A mountain beaver was discovered in 2014 at Poorman Creek within section 1, and there have been multiple sightings of a wolverine in the general area between 2008 to 2012. Six California spotted owl territories are located within 1.3 miles of the THP area; in sections 3, 10, 18, 34, and 36. More information is available on the THP Tracking Center website.